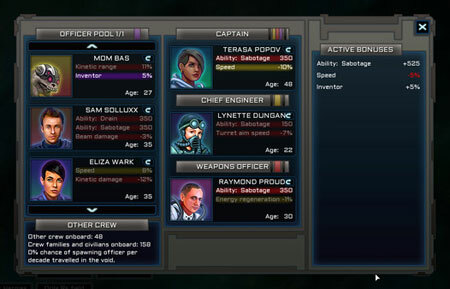 Voidship: The Long Journey is a unique space strategy simulator from Cydonian Games. Design your battleship and fight your way through unforgiving space. As the captain, you’ll make strategic decisions, explore unknown sectors, meet allies and enemies, gather resources, technology and crew. The Terran Empire is in shambles and you barely escaped the onslaught. Your only mission is to reach a set of coordinates, a journey that will take several centuries. To reach your destination you’ll need to explore unknown sectors, gather resources, find new crew members, discover new technologies, assist your allies and defeat your enemies. Each person has their own strengths and weaknesses, affecting the special abilities of your ship. Tactical overlay reveals your enemies weaknesses, exploit them with your special abilities. Battle against a huge variety of unique enemy spaceships. If you get stuck in the game, check out the video walkthrough and gameplay for the game.